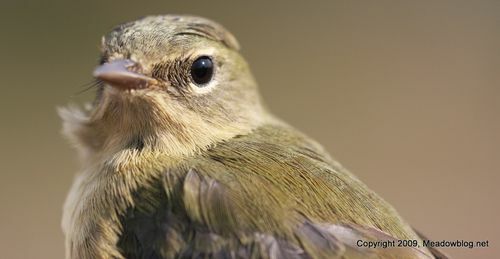 Thanks to everyone who e-mailed us last week and confirmed our identification of this warbler. NJMC naturalists thought the bird above was a Black-throated Blue. Most of our warbler-eyed readers agreed. The NJMC's Meadowlands Environmental Research Institute takes amazing aerial photos with an unmanned helium balloon. 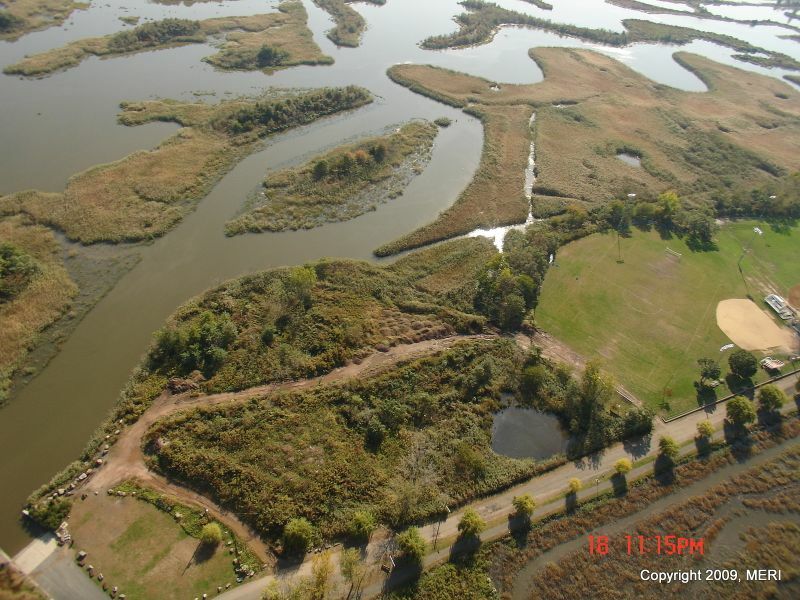 Pictured above is a shot taken recently in Secaucus, including part of Mill Creek Marsh and Mill Creek Point..
Click here to see earlier MERI aerial photographs and other projects. Click here to link to the MERI Web site. Click "Continue reading … " to see more Secaucus aerial photos.